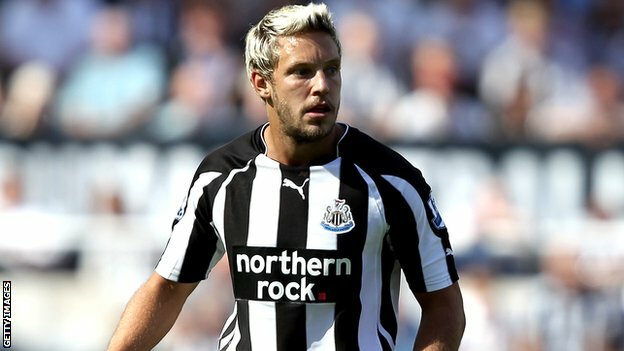 Fomer Toon striker, Alan Smith, is about to sign for Notts County, having been released from his contract at MK Dons last week. Smith, who played 84 times during his five years at Newcastle, has been playing at MK Dons since being released in 2012, but his time in Buckinghamshire has now come to a close, and he is set to sign for Notts County, according to the Nottingham Post. It will be manager Shaun Derry’s first signing of the summer and according to sources, the former MK Dons player will undergo a medial today which will see him join the club as player-coach. Notts County finished one place above the relegation zone in League One this year, picking up six wins from the last nine games. And they will undoubtedly be looking to rebuild this Summer under the stewardship of former QPR defender, Shaun Derry. We wish Alan all the best at his new club.